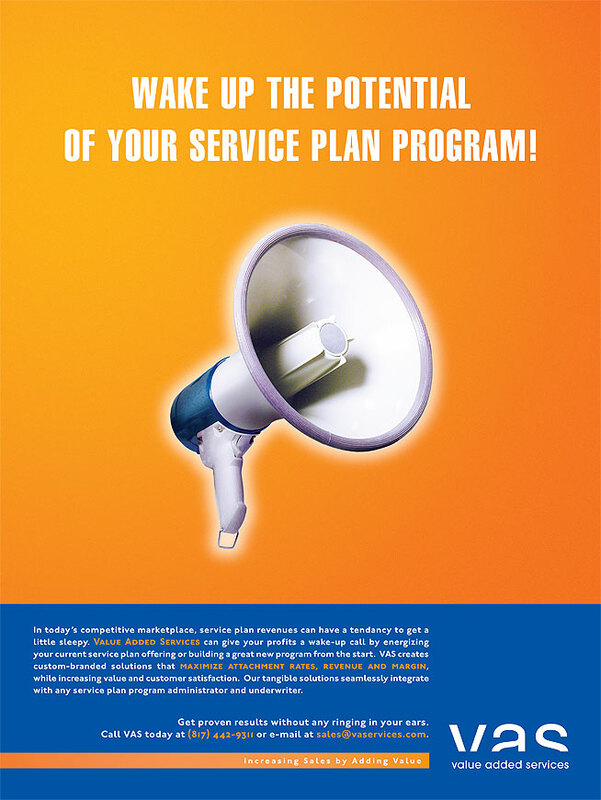 Value Added Services (VAS) wanted to communicate a relatively complicated idea to a target market of warranty and service plan managers within Consumer Electronics Retailers. They looked to increase the retailers attachment rates by making their plans a tangible product within the stores. 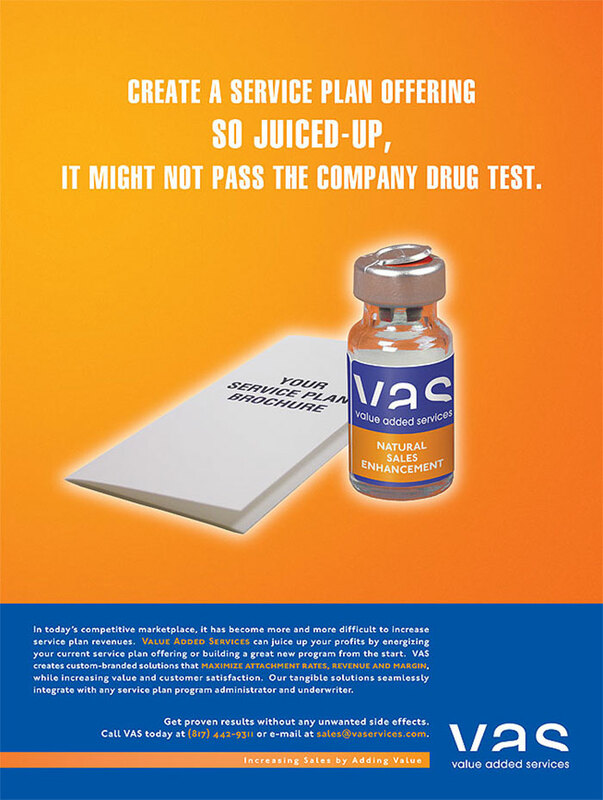 A campaign of three ads were produced that spoked to the benefits of VAS. The first conveyed a message of "beefing up" their service plan offering, the second boasted explosive attachment rates and the third pointed out the benefit of being heard among the store's brochure clutter. 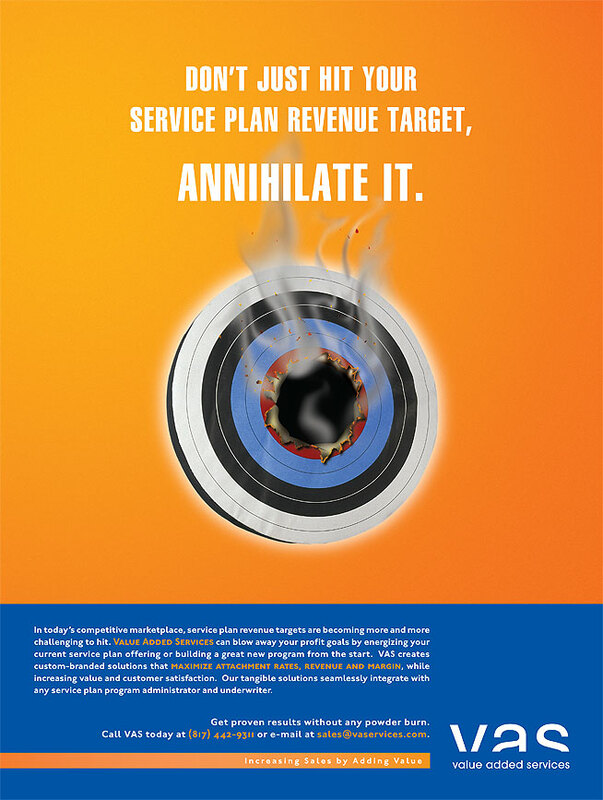 Each ad recieved direct response and simply sold a complex message.